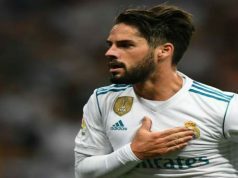 Real Madrid players Isco, Jese Rodriguez, Mateo Kovacic and Lucas Vazquez have taken the Bwin Freestyle Challenge, competing against freestyle world champion Sean Garnier and Andreas Cetkovic. 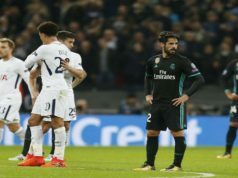 The Los Blancos players have faced three challenges: A nutmegging competition, a football tennis match and a free-kick battle. Despite being experts in this kind of tricks, Garnier and Cetkovic have struggled against Los Merengues stars. Zinedine Zidane men proved to be especially skilled for football tennis, as they have certainly practised it a few times during their training sessions at Valdebebas sports ground. The four professional footballers seemed to enjoy this competition a lot, and they showed the joy and good atmosphere in the squad. Want to know who won the challenge? Don’t miss the video. * For more Real Madrid videos, follow our page on Facebook.